Weinen, Klagen, Sorgen, Zagen (Weeping, lamenting, worrying, fearing), BWV 12,[a] is a church cantata by Johann Sebastian Bach. He composed it in Weimar for Jubilate, the third Sunday after Easter, and led the first performance on 22 April 1714 in the Schlosskirche, the court chapel of the Schloss in Weimar. Bach was appointed Konzertmeister in Weimar in the spring of 1714, a position that called for the performance of a church cantata each month. He composed Weinen, Klagen, Sorgen, Zagen as the second cantata in the series, on a text probably written by court poet Salomon Franck. 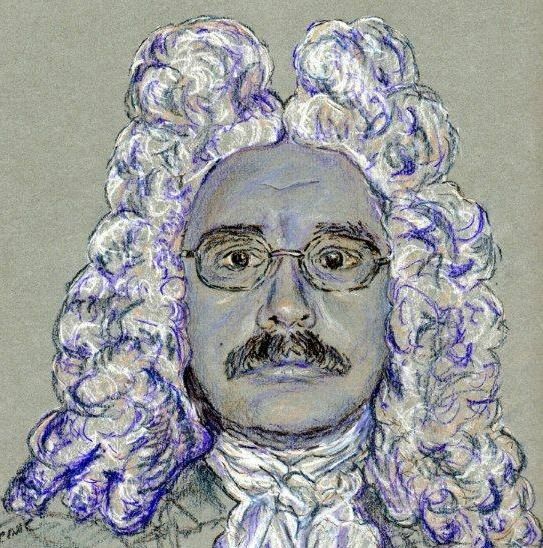 The work is structured in seven movements, an instrumental Sinfonia, a choral passacaglia, a recitative on a Bible quotation, three arias and, as the closing chorale, the last stanza from Samuel Rodigast's hymn "Was Gott tut, das ist wohlgetan" (1674). The cantata is scored for three vocal soloists, a four-part choir, trumpet, oboe, bassoon, two violins, two violas, and basso continuo. Bach performed the cantata again in his first year as Thomaskantor – director of church music – in Leipzig, on 30 April 1724. He reworked the first section of the first chorus to form the Crucifixus movement of the Credo in his Mass in B minor. Franz Liszt based extended keyboard compositions on the same material. 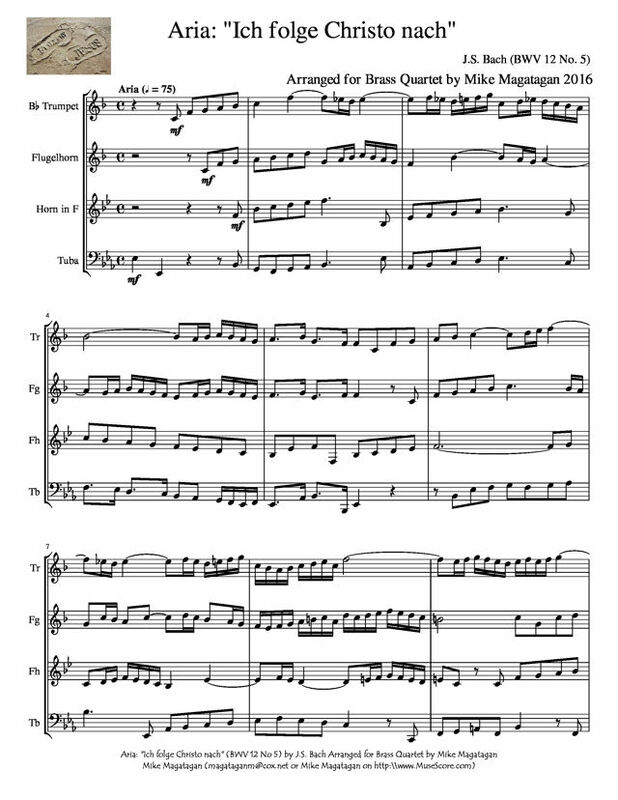 The cantata in seven movements is scored for three vocal soloists (alto (A), tenor (T) and bass (B)), a four-part choir SATB, trumpet (Tr), oboe (Ob), bassoon (Fg), two violins (Vl), two violas (Va) and basso continuo (Bc). 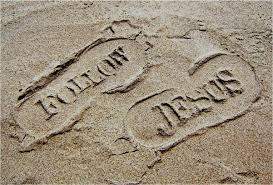 n the second aria, "Ich folge Christo nach" (I follow after Christ), the decision to follow Jesus is made. "Walking steps" in imitation symbolize the following. 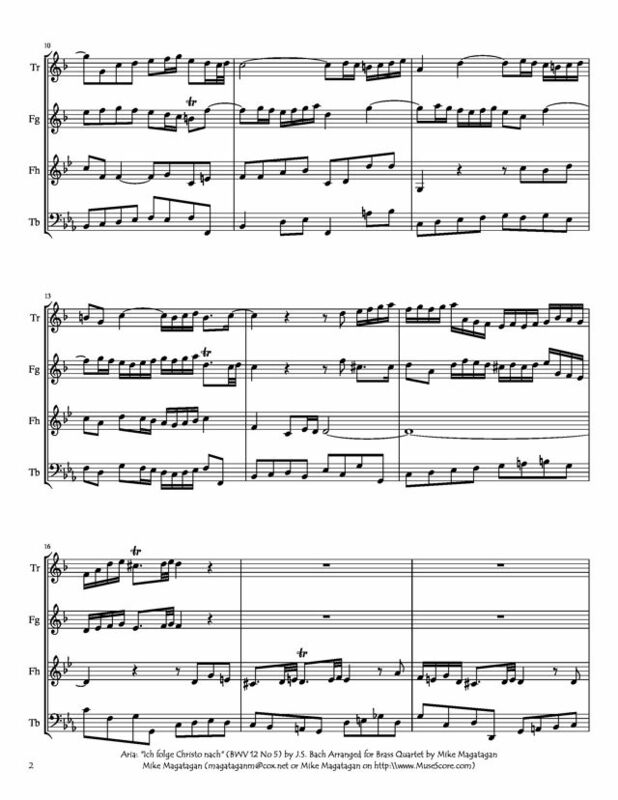 The first motif is an upward scale, illustrating the direction of Heaven, played by the first violin, imitated in fast succession by the second violin and then the continuo. The voice enters with the same motif. Towards the end, the steps are expanded to more than an octave, reaching Heaven. 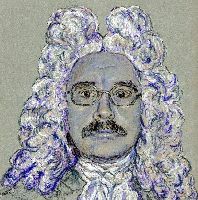 The bass singer and the continuo are in unison, interpreted as a mystical union of man and God. 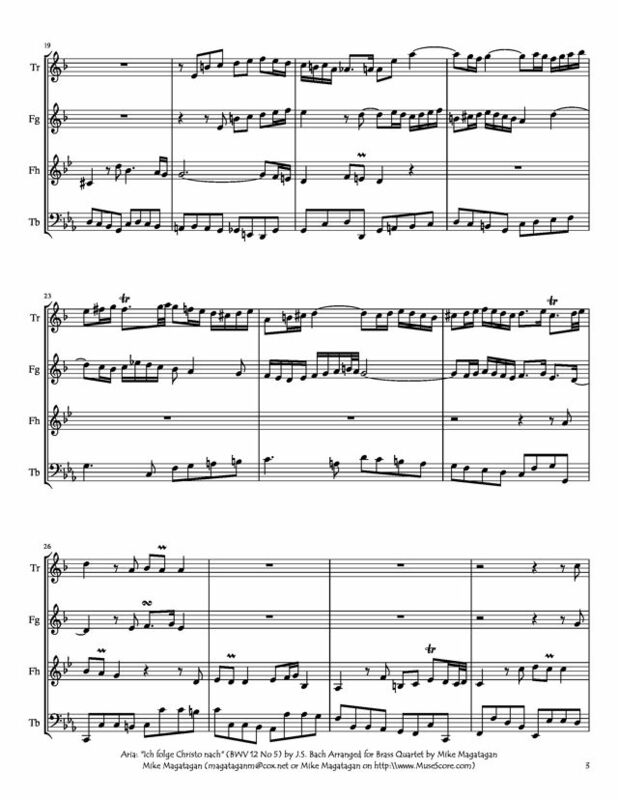 I created this arrangement of the second Aria: "Ich folge Christo nach" (I follow after Christ) for Brass Quartet (Bb Trumpet, Flugelhorn, French Horn & F Tuba).